Looking for interesting places to take your literary group? Check out these six locations for educators and lovers of books alike. Everyone remembers “that one book” they read back in school – the one that they won’t ever forget, even years later. Sometimes it’s not so easy for educators to ensure such an impression, but today there are new ways to make literature come alive for the next generation. For teachers looking for fun field trip ideas that will create lasting connections, check out these literary attractions in America that make reading a reality. As any literature fan can tell you, The House of the Seven Gables is not just a house – it’s the inspiration for one of America’s greatest authors. 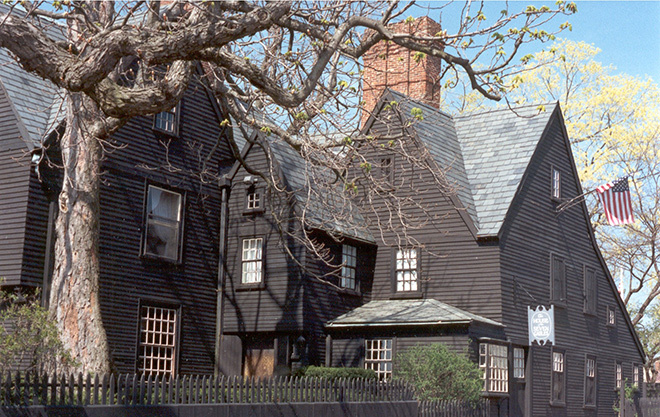 Formerly owned by the Turner family in the 1600s, the Salem, Massachusetts house was later occupied by the Ingersoll family, and their cousin Nathaniel Hawthorne, author of The Scarlet Letter, was a frequent visitor. Hawthorne’s stay inspired him to write his second most famous work named after the home; a Gothic novel about a cursed house and a corrupt family, the book was deemed strange by contemporary reviewers but was an inspiration to horror writers such as H.P. Lovecraft. Many years later, the house was purchased by preservationist Caroline Emmerton and turned into a settlement for immigrants akin to Jane Addams’ Hull House in Chicago. Today, your group may tour the house, not far from the Salem Maritime National Historic Site, that inspired Hawthorne to write his novel and take part in the modern museum’s programs that educate visitors in the home’s extensive history, from the trade routes the Turner family patriarch used to the goals Emmerton set for her community. Though not a time-intensive attraction, the Union Stockyard Gate in Chicago is a must-see for literature and history fans alike. This historic landmark was once the entrance to the once-booming meatpacking industry that was famously disgraced by muckraker Upton Sinclair. Built in 1875, the stockyard was known for its high efficiency, slaughtering animals en masse – 190,000 on one record high day. After touring the yard in 1906, Upton Sinclair wrote one of his most famous works, The Jungle, exposing the numerous health violations and the poor working conditions the yard employed to meet its quotas. The novel prompted a federal investigation that resulted in the Pure Food and Drug Act of 1906 and later the Food and Drug Administration. The stockyards declined and eventually closed completely in the 1970s, but the gate still stands today, a reminder of corruption that serves as long as the city needs it. Groups looking to visit the Old West need look no further – entering the Strater Hotel will make visitors feel like Doc Brown himself. Near Mesa Verde National Park, this Durango, Colorado hotel was built in 1887 and has seemingly never left the Victorian era. Attractions include the Mahogany Grille, featuring menu items such as herb-crusted elk tenderloin, and the Henry Strater Theatre, which hosts comedians, musicians and The Rocky Horror Show each Halloween. Though any of these things would make the hotel a worthwhile destination, literary groups have even more reason for staying here – it was frequented by authors such as Louis L’Amour, who stayed at the hotel every year with his family. The famous Western adventure writer always requested Room 222, situated right above the Diamond Belle Saloon where the live music drifted from the floor below and inspired him to write his Sackett novels. Although the spot is now an official literary landmark, visitors may still request to stay in the room, or even tour it if it’s unoccupied. An artifact of bygones past, this hotel is perfect for any groups wishing to visit historic Colorado. 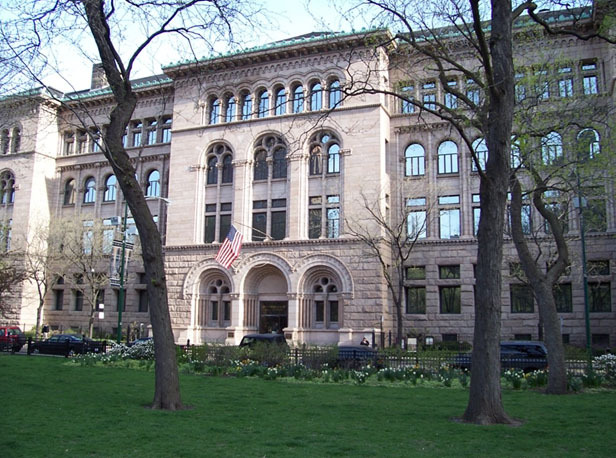 You don’t need a special reason to visit this Chicago site with your group. As a research library, it’s a great place for students of all ages, with an impressive collection boasting millions of books, manuscripts and maps. Collection topics range from American history, music, religion, the Renaissance and more; past exhibits have included lectures on sheet music from WWI and a highlight on short story author Katherine Mansfield. No matter the subject, groups will find plenty to learn about here, but this library offers a pop culture advantage as well – it’s a setting in the popular novel The Time Traveler’s Wife. The book follows the story of the romance between Clare Abshire and her husband Henry DeTamble, a Newberry librarian who has a genetic mutation that causes him to involuntarily travel in time. Groups may request to see items mentioned in the book, such as the Guttenberg Fragment and the infamous “Cage” that haunted Henry’s dreams. Additionally, the Newberry also holds the typescript drafts of the novel as well as author Audrey Niffenegger’s notes, which include sketches, correspondence and press clips. With its massive collection and its hook for modern readers, the library is a must for your literary field trip. This San Francisco museum takes your group back to the revolutionary 1950s, when the Beat writers took over the literary world with strong themes of spirituality and non-conformity. The Beat Museum contains a collection of original manuscripts, first editions and personal letters from the Beats themselves, including Allen Ginsberg (Howl), William S. Burroughs (Naked Lunch) and Jack Kerouac (On the Road). The museum, which opened in 2003 and has a gift shop that sells the works of the Beats, also offers walking tours of the museum and the North Beach neighborhood where the Beats lived and worked. Make sure to stop by City Lights bookstore with your group – Howl was published there in 1956, and it often served as a gathering place for the Beats. Check out www.kerouac.com for more information and to see what events may be held during your group’s visit. The Plaza, one of New York City’s most iconic buildings, is a five-star hotel in Manhattan that most people only dream of staying in. Adults know it for its decadence, with accommodations including butler services, a spa and access to the BMW 7 series of luxury cars. 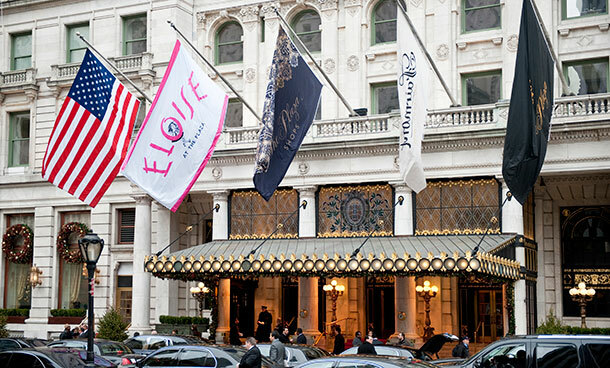 However, younger generations will know it as the residence of Eloise, a six-year-old girl with high confidence and unlimited curiosity who just loves, loves, loves her nanny and her home at the Plaza. This creation of Kay Thompson has gained popularity in recent decades, with movies based on the original book Eloise at the Plaza and its sequel Eloise at Christmastime. The Plaza has not only acknowledged this feisty character but capitalizes on her, creating an Eloise Suite designed based on Eloise’s room in the book series that comes with a copy of the original book, a special Eloise robe and an adjoining room for adults called the Nanny Suite (complete with champagne and truffles). Those with lighter wallets may visit the dining rooms open to the public that serve a special Eloise menu, with options like “Charge It Please, Mac and Cheese” and “Here’s What I Like: Burgers.” The Palm Court restaurant serves an Eloise tea, making it a great trip for fans both young and old. Any of these sites would make a great field trip for your group. Know of any other good places to learn about literature? Tell us in the comments below.